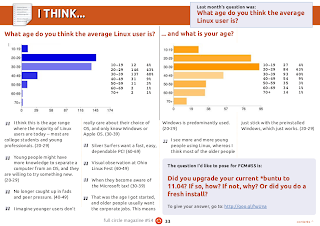 Polling result: What age do you think the average Linux user is? And what is your age? 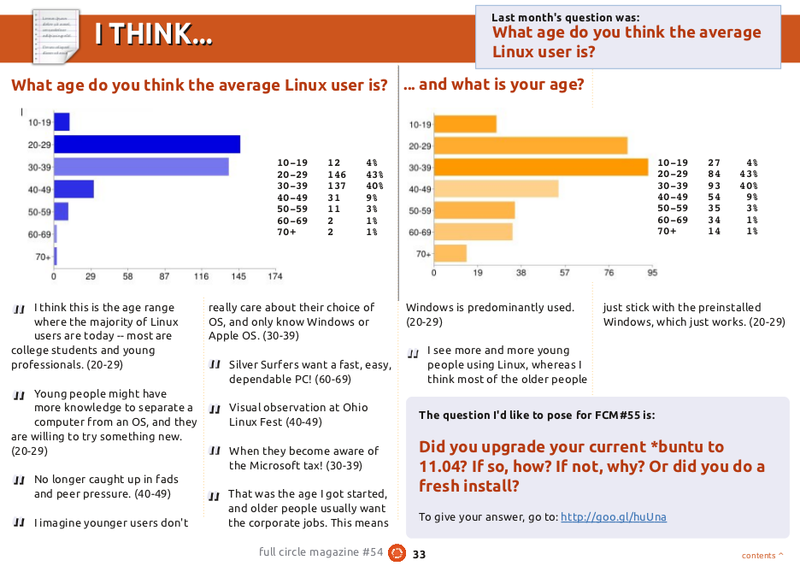 The latest Full Circle Magazine issue #54 publishes the result of its readers polling about "What age do you think the average Linux user is?" and "What is your age?". According to the polling result, most of users said 20-29 years old is average Linux users and 30-39 years old is the age of most readers. There are a lot of opinions from the users, you can read it on Full Circle Magazine Issue #54 page 33.